A relatively unknown and un-tested company on the gi market, caught my eye on social media. I was interested to see what kind of quality this company offered given their highly pleasing Hawaiian style designs. This Gi was submitted to me free of charge (by way of gireviews.net) for review. I have never done any work with or for Lanakila. Every now and again one of these “boutique” brands captures my interest. 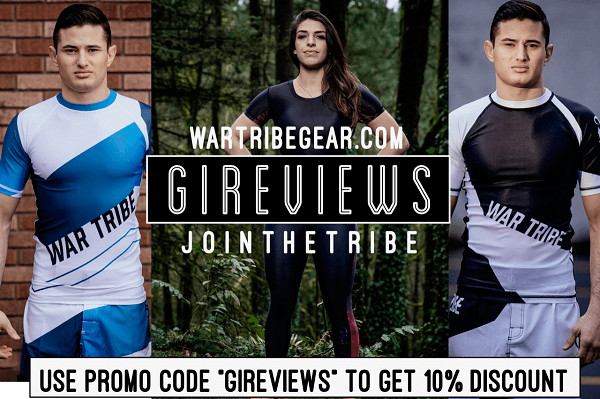 These are brands that have been started out of the blue by jiu-jitsu enthusiasts who want to contribute something. Lanakila’s pictures on social media showcase some really interesting and unique designs. They are able to keep their designs very clean and understated while special and unique. 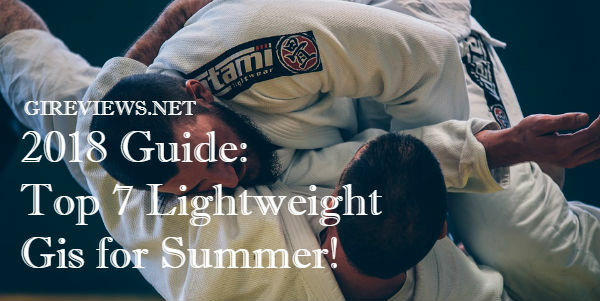 I reviewed this gi, the Quita named after Vince Quita the brand’s owner over the course of 4 months. The gi arrived in a really cool looking bag made of gi material and rip stop. I was also sent some stickers, a patch and a tee-shirt. At 6’1.5, my weight ranges between 195-205, A2L is usually my go to size. This gi is an A2L. The fit is rare in that it fits me perfectly. This gi fits me as though it were tailored specifically for me. I’ve had gis fit well, this gi fits perfectly. Lanakila is unabashedly Hawaiian. The gi features a ton of Hawaiian motifs including triangles to symbolize waves, the traditional crossed paddle symbols and others. 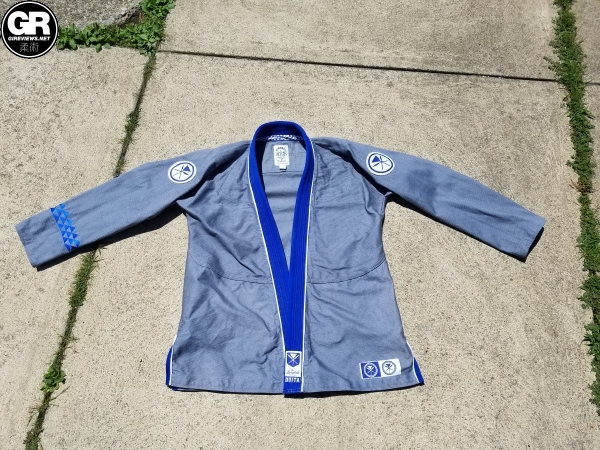 I am a big fan of non-standard colors, and this gi takes the cake with a highly non-standard grey, blue and white color scheme. The majority of the gi is grey, with blue twill trim throughout and white detailing and piping. There are few gis that I’ve sampled that were this gorgeous. 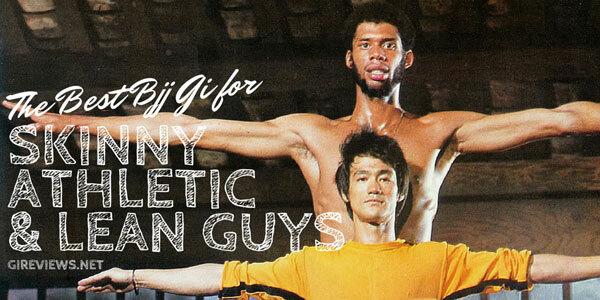 Apart from the superb fit, the overall design of the gi sets it miles above its competition, at least in my eyes. 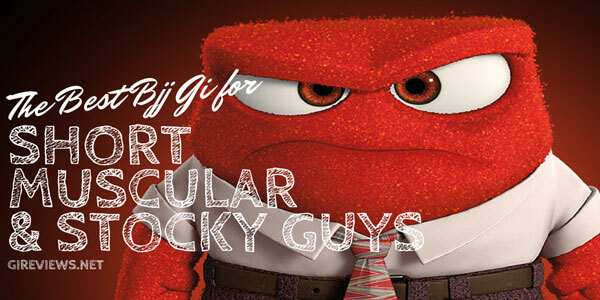 I loved the way the color scheme pops, and as the gi aged and faded ever so slightly its look improved. The gi has amazingly soft blue and white seam tape throughout featuring a wave design. My only complaint about the gi is a minor one, the fabrics chosen (rip stop and 450 GSM pearl weave) are very different and faded differently over the course of the wear of the gi. This of course has no bearing on performance and is literally the only thing I could find wrong with the gi design. The jacket on this gi features 450 GSM grey pearl weave with a royal blue twill covered EVA foam lapel. The lapel’s thickness was standard, nothing above and beyond what I’m used to but certainly not thin. A really cool design aspect of the gi is that all royal blue twill trim is accompanied by white piping which accents the blue and grey perfectly. This includes the skirt vents! The gi features one of my favorite features that a gi can have: seam tape running along side the inside of the lapel. This causes interesting effects when an opponent tries to grab the lapel. As far as embroidery and patching, the gi features two round patches with a paddle motif on both shoulders, and an embroidery of a line of triangles on the right arm. All embroider and patches held up fine over the course of the review period. Made of rip stop, the pants feature a pearl weave gusset which helps cinch submissions nicely. The rope fastening system on this gi is superb, Lanakila went with a wide loop followed by standard narrow ones, and wrapped the tip of the rope with a piece of twill to guarantee that it neither frays nor gets lost inside the waistband. Awesomeness! Apart from these details the pants are relatively simple. I do enjoy the white piping that runs alongside the blue twill covered rope openings. Because of its perfect fit this gi was amazing to roll in. Of all the gis I’ve reviewed very few have shown this kind of perfection when it comes to fit and quality. I’m really happy I got to wear it! Apart from the fit, the pearl weave crotch gusset and the lapel seam tape helped the gi roll better. 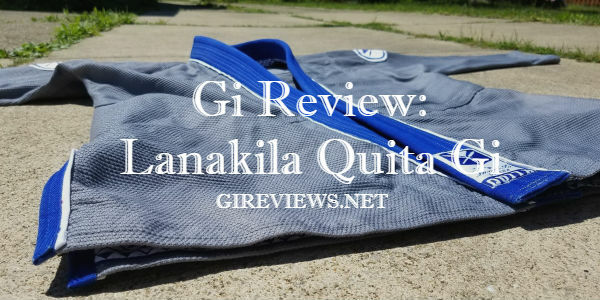 For a relatively unknown brand, Lanakila made a strong impression with their Quita gi. Apart from uneven fading which is kind of to be expected when it comes to 2 different fabrics, this gi was pretty much perfect. If you are interested in this or other products offered by Lanakila, check out their website. Emil Fischer is a brown belt competitor training under Pablo Castro at Strong Style MMA in Independence Ohio. Emil writes for various jiu jitsu related blogs and magazines, is a brand ambassador for Ludwig Van and Vanguard Kimono and is sponsored by Trap And Roll Soap, Impact Mouth Guards, The Terphouse, Cleveland Cryo, Nottarookie, Eddys on Coventry and Meerkatsu You can check out more of his work and his competition footage at www.facebook.com/emilfischerbjj.